Officials in Manassas Park City, Virginia, have officially released notice of several violations of the city’s extended child care program, Costello Park Preschool after allegations of sexual abuse against an 8-year-old child were found to be true. An 8-year-old girl who attended the day care program told her mother in September 2010 of separate incidents where she was sexually abused by a program employee in July and August 2010. After the child’s mother learned of the accusations, she reported the information to the City Parks and Recreation Director, Catherine Morretta. Morretta then notified local police, which lead to an investigation by both the city police and social service officials. 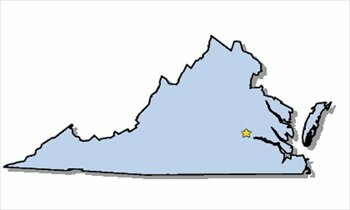 The Virginia Department of Social Services Division of Licensing Programs also began an investigation since the day care is licensed by the state. The day care program was found to be in violation of several paperwork requirements. Mainly, certain staff members had neither a criminal records check nor central registry finding on finding and other the central registry finding of another staff member has not been renewed within 3 years. The city is appealing all of the violations. However, the city is not disputing the child’s sexual abuse claims, which the state found to be factual. The state found that a juvenile staff member exposed himself, on at least two different occasions, to the child as well as engaged in sexual contact with her. The staff member also gave the 8-year-old money and told her not to tell her parents. Because the staff member is a juvenile his identity was withheld by officials. To read more on this story please see Sexual abuse allegations at Manassas Park day care program found factual.